It started with a fascination for what lie between the pages of National Geographic magazine from a pre-school age. Fire-blazon sunsets and equally impressive sunrises, pulse-racing photos of prehistoric mammals, graphic predator kill scenes and tribal warriors with painted masks and terrifying spears. These were the images that lay the foundation for dreams I would inevitably chase in adulthood. The dream wasn't one I easily captured; it would take a major career change and life altering circumstances to make the decision that volunteering was perhaps an important life choice, just as, if not more important than any other. It was necessary. I found a reputable company and signed up for a Big Five volunteer experience in South Africa, dang, just writing that still gives me chills. I left behind all the creature comforts of home (that I would soon learn were unimportant) and traded in my private office for a pair of butter-yellow leather, work gloves and a canvas tent. Best decision ever. I was lulled to sleep every night by the roar of lions and awoken at dawn by the screech of the Hadeeda bird overhead. My neighbors were elephants, cheetah, rhinoceros, and wildebeest - just to name a few. Every day I had a purpose to fulfill, my work had meaning - meaning that went beyond the bottom line. I wasn't being paid yet I had never felt wealthier. Meals were simple yet nourishing, the rangers gracious and eager to share knowledge and ensure I had a life enriching experience. It wasn't long before I realized I was no longer living life vicariously through the pages of National Geographic magazine, I was writing the words myself, from my daily adventures. A lifetime of nearly forgotten dreams was now a reality and I was the one behind the camera lens, and the one holding the pen. Perhaps the greatest gift of all that came from volunteering was learning the magic of giving itself. Every day I gave sweat, tears and everything I had of myself - yet the more I gave, the more I received. I tried desperately to even out the balance sheet but I couldn't, I felt indebted for all I was receiving. I received clarity, knowledge, a deep and profound sense of meaning, important life lessons, and answers to questions that before seemed unanswerable. Maybe it's the idea of awakening to the sound of elephant trumpets or falling asleep to the roar of lions that is calling you to South Africa. Or perhaps it's the genuine smile of a disadvantaged child when you share your compassion and knowledge that has you researching volunteer opportunities. Whatever your insatiable passion is: teaching, healthcare, conservation or community service, you'll find a way to quench it in South Africa. President Nelson Mandela coined this great country as the 'Rainbow Nation' because it's diverse and colorful in every way. From white sand beaches with awesome surf to grass plains and tabletop mountains, South Africa has something for everyone. The volunteer organizations allow and even encourage volunteers to take free time to experience it all. Embrace the power of giving and live your very own South African volunteering adventure of a lifetime with one of these highly recommended and reputable organizations. This article first appeared on the website Volunteer Forever, an organization that helps volunteers with the infrastructure to raise funds to volunteer overseas. o Volunteers add support to the local staff with individual attention to the kids, supervise playtime, support lunch services, reinforce English speaking with lessons and reading/games and help with homework. o Afternoon homework guidance and after school project support. o Most facilities operate day care, drop-in and food centers for (OVC), nutrition unit, community gardens and clothing warehouse project. Volunteers need to be pro-active, and enthusiastic, and show flexibility towards tasks and activities. Port Elizabeth, South Africa. Other countries include; Belize, Cambodia, Cameroon, Chile, China, Colombia, Costa Rica, Ecuador, Ghana, Guatemala, Honduras, India, Kenya, Nepal, Nicaragua, Peru, Philippines, Rwanda, Tanzania, Uganda, Vietnam, Zambia. How long: A Broader View offers 1 to 4 week programs always starting on a Monday. Note that schools in SA are closed for three weeks in June/July and one week in early October. Who can join: 18+ for solo travellers, 12-17 for travellers accompanied by an adult. A tourist visa is required to travel to South Africa. Hep A and Typhoid vaccines are also required. A representative will meet you at Port Elizabeth airport. Workdays are Monday - Friday, 8am - 3pm with a lunch break. Weekends are free for sight seeing, etc. ABV arranges for a Host Family to provide living accommodations and meals during the Project Period. In terms of accommodations and meals, ABV guarantees safe, clean accommodations based on local standards (not always US standards). A Broader View Volunteers is a 501(c)(3) based non-profit organization based in Pennsylvania. Since A Broader View Volunteers is a 501(c)(3) charitable organization, US tax payers' program fees and related travel expenses are tax deductible. I had a wonderful time volunteering in South Africa with Projects Abroad, and I actually plan to go back to South African next year. I took a career break to work on a business project in a Cape Town township to help an educare centre (an early childhood school) with its business planning. The opportunity was simply amazing! We worked during the day from Monday to Friday and had ample opportunities to travel and site-see around town and the country. 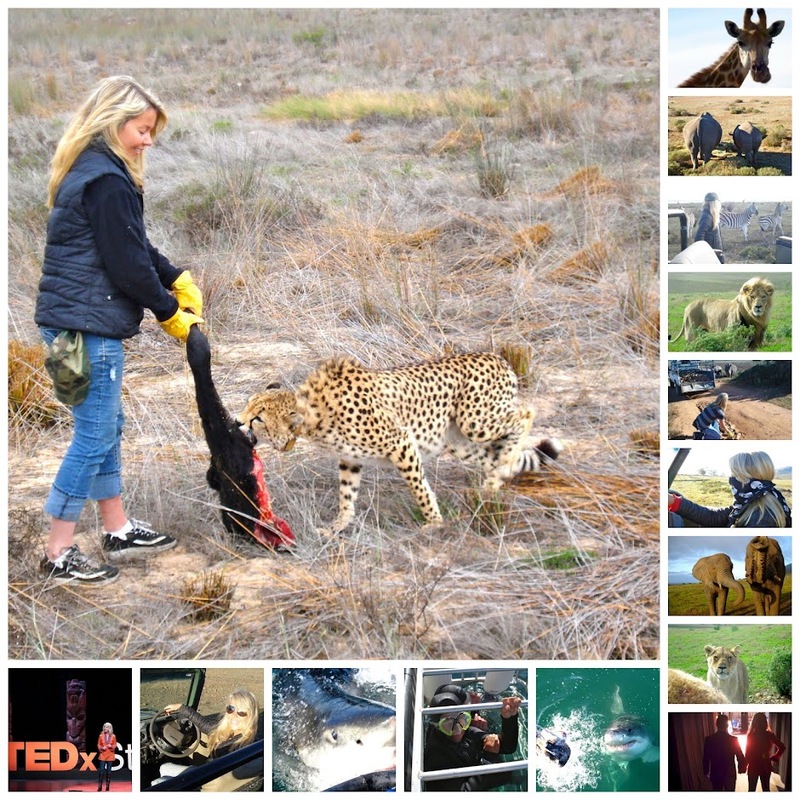 o Live and work in a game reserve helping to conserve African animals and plant life. o work with children aged 3 - 6 in orphanages. o Volunteer as a teaching assistant or teach IT and literacy in the Cape Flats area. o Volunteer at a health clinic and help vulnerable children affected by HIV/AIDS. o A typical day includes meeting with clients, research and reviewing cases. 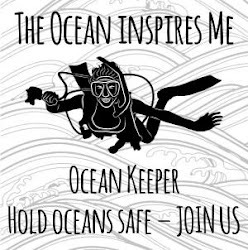 o Help teach surfing, swimming and general life skills to at-risk children. o Work alongside journalists in Cape town in every phase of magazine production from concept to finished product. o Help construct better quality homes and classrooms. o Work alongside NGOs in Cape Town tackling the country's big issues: unemployment, crime, domestic abuse and alcoholism. · Business Placements across a number of industries. o Help build a community center in Lavender Hill. Cape Town, South Africa. Other countries include; Argentina, Bolivia, Botswana, Cambodia, China, Costa Rica, Ecuador, Ethiopia, Fiji, Ghana, India, Jamaica, Kenya, Mexico, Mongolia, Morocco, Nepal, Peru, Philippines, Romania/Moldova, Samoa, Senegal, Sri Lanka, Tanzania, Thailand, Togo, Vietnam. Most projects are four weeks in length. Projects run year round (check local holidays) and volunteers can generally start any day of the week. Volunteers aged 16 years or older for high school programs, 18 years or older for individual programs. A tourist visa is required to travel to South Africa. Some vaccines may be required - check with your doctor. Workdays are generally Monday - Friday, weekends are free for sight seeing, etc. Projects Abroad arranges for a local Host Family to provide living accommodations and meals during the Project Period (included in program cost). Program fees also include medical insurance. o Working in the wetlands region; the capture and release of crocodiles, the counting of crocodile eggs as well as feeding and cleaning the enclosures of the smaller crocs and alligators. o Cheetahs and Leopards rehabilitation, breeding and release program; preparing the food, feeding the cats and constructing new enclosures for the breeding pairs. o Teaching English, basic sanitation, hygiene and nutrition. o Renovate and revitalize facilities. o Build and install sustainable farming units for families and single mothers to manage as a microbusiness. St. Lucia, South Africa and Swaziland. Other regions include; South America, Fiji, South East Asia. Volunteers aged 18 years or older. Workdays are generally Monday - Friday, 8am - 4pm. All meals are included except on the final day transfer to Johannesburg. Travel medical insurance is required and the responsibility of participant. Accommodation is included in a secure dorm-style setting separated male/female, internet is available in lobby. Arrive to Durban airport and be met by VESA staff, departure from Johannesburg airport. All in-country transportation is provided. All activities are included except optional extras. Activities include sightseeing, river tour, and village tours. I had a wonderfully positive experience with ISV, right from the start by keeping me up to date on deadlines, providing me with resources and ideas for fundraising and always being accessible through email on telephone. 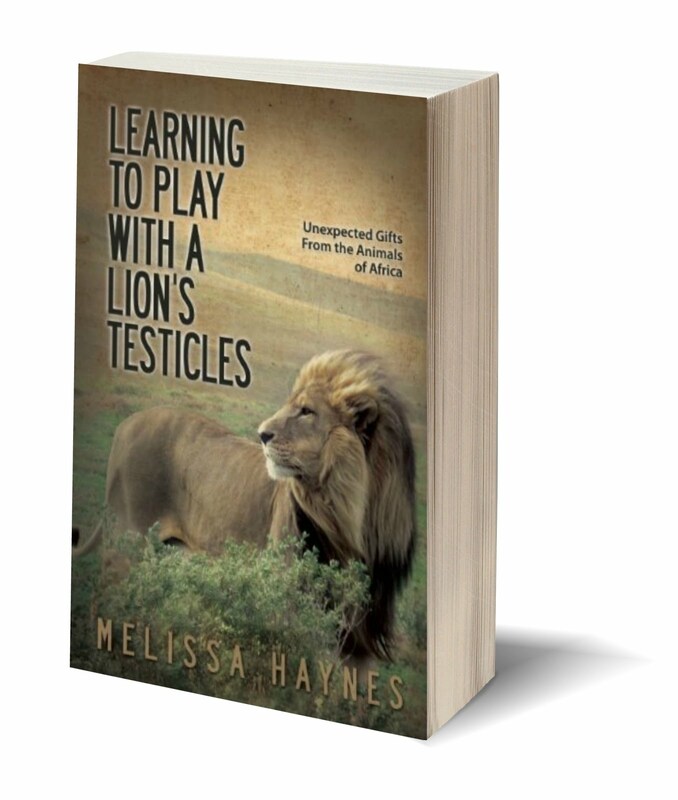 Once I went to Africa, it continued to be a positive, educational, safe and enjoyable experience. Ever since I have been back I have been thinking of ways to get back there and participate in a wonderful adventure with this organization again and its a good thing they have resources to help me earn another trip because I will put in the effort for such a great cause and experience. o Employ environmental management techniques to protect the country's natural and vulnerable areas. South Africa, Swaziland and Mozambique. Other countries include; Australia, Botswana, Costa Rica, Dominican Republic, Fiji, Mozambique, New Zealand, South Africa, Swaziland, Thailand, Vietnam, Zambia. Two-week volunteer project with the option of adding a two-week adventure tour. Volunteers aged 18 years or older, however there is also a special program for volunteers aged 15 - 18. A tourist visa is required to travel to South Africa. Some vaccines may be required - check with your doctor. Travel and medical insurance is required and the responsibility of participant. Accommodation is included, all meals are included during the volunteer program and about half the meals are included during the optional adventure program. ISV has been in business since 2002 and has had more than 30,000 volunteers on hundreds of projects. More than 310 universities grant academic credit for participation in ISV programs, check with your local university. You will be travelling with a group of 25-50 other volunteers. I headed out to South Africa as a Cape Town Teaching volunteer. It really was amazing. The sun, the sea, the communities and projects, the backdrop, Cape Town is an incredible place. The first day got me so excited for the trip a comprehensive tour of the areas I'd be working in. I made friend with people of all ages from all over the world, and because of the friendly atmosphere created by the project managers, everyone got on well and it was a good laugh too. I ended up staying for 3 months - all the people I met there that booked for 2,3 or 4 weeks were gutted they didn't book for longer. You get looked after so well at the house too - laundry, meals, accommodation, all top-notch. Met some amazing people and loved working at the schools and community projects. Booking the trip was maybe the best decision I've ever made. DO. IT. South Africa, Zambia, Kenya, Zimbabwe, Tanzania, Botswana, Namibia, Malawi, Madagascar, Uganda, Seychelles. Most programs run for 2 - 12 weeks. Custom options are also available. A traveller's visa is required for South Africa. Some vaccinations also may be required, check with your doctor. Fees include all meals during project work times (breakfast, lunch and dinner) and accommodation as well as transfer to/from project site. Volunteer accommodation usually takes the form of a free-standing house, chalet, or in some cases, a backpackers lodge. Volunteers usually stay in rooms with 2-6 beds (bunks) with clean duvets and bedding. There are separate rooms for males and females. 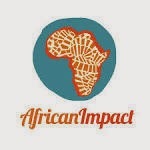 The volunteer accommodation often has access to a swimming pool, lounge and entertainment area as well as a resource room where they can plan for the next day’s projects or learn about other African Impact projects and initiatives. Evenings and weekends are free time for local excursions. Excursions are an additional cost. Travel medical insurance is required for all volunteers. Lori Heisler, USA. Raised $5555 to volunteer on a Community Development Project in Kwazulu-Natal in South Africa. Serena Roffo, USA. Raised $5515 to teach orphaned children in Zimbabwe. Brooke, USA. Raised $2065 to volunteer at a children's program in Kenya. o Tracking and monitoring animals such as Cheetah, African Wild Dog, Rhino, Lion, Elephant and Leopard. o Wildlife ACT will conduct a number of exciting, short-term Leopard Population Surveys using remote camera trapping survey methods. The survey is the largest on leopards of its kind in the world. Most programs are 2 - 16 weeks in length. Extended stay options available. Volunteers 18+ years of age. Vaccinations may be required, check with your doctor. Travel medical insurance is required and the responsibility of the volunteer. Participants must be in reasonable physical condition. Housing is provided in a ranger's station with bathroom and kitchen facilities. Meals are included but prepared by the volunteers. A maximum of five volunteers are accepted at a time. Wildlife ACT is supported by, and works with high profile conservation organizations including WWF, Endangered Wildlife Trust and Panthera. This really was a trip of a life time. My 6 week stay in South Africa was the first time I had done anything like this and certainly the first time I had been abroad on my own. I had a great time and experienced so much whilst out in the bush. The sights and sounds of the Africa bush are something you can never forget, nearly 3 years on and the memories are so vivid its like i was there last week. The staff both in the UK and in the field were excellent- very supportive, enthusiastic and clearly loved their jobs. In fact I have never met such passionate people and they really made me determined to finish my degree and follow in their footsteps. Overall it was an amazing trip, worth every penny, and I would 100% do it all over again! South Africa. Other countries include: Australia, Costa Rica, Fiji, Greece, India, Kenya, Laos, Mexico, Nepal, Seychelles, Thailand, United States. Most programs are 2 - 24 weeks in length. Volunteers 18+ years of age if travelling without a parent/guardian. Family and student programs are also available. Vaccinations may be required, check with your doctor. Comprehensive medical insurance is required and the responsibility of the volunteer. Participants must be in reasonable physical condition. Meals and accommodation are provided. Accommodation is basic and shared with other volunteers. Meals are mainly vegetarian using locally sourced ingredients. A meet and greet is provided at the airport for most programs. Volunteers will have free time to explore the area and activities. How to begin! Finding IVHQ was the best thing I've ever discovered. They're overall a great organization to deal with, have loads of programs, even more countries to choose from and offer affordable prices compared to other organization. A killer trio if you ask me. After the initial stress of applying to a certain program IVHQ supports and follows you trough your application process. All the pre departure information was very helpful and prepared you in some what of way for your arrival (they can't prepare you for everything!). And then its take off time!! As you arrive IVHQ and the local organization you're working with are with you the whole way. From picking you up from the airport, driving you to the local volunteer house, undergoing the orientation day and to all the other details they're there the whole way. My program was amazing and the people I met were even greater. This trip was absolutely the best decision and the best trip I've ever done in my life! The experience and the stories you bring back home will be with you for the rest of your life. Living with local families is the way to become part of the community and to adopt the local culture. I would recommend this organization to everyone that wants to travel a little differently while making a sustainable change. And one thing is for sure this is not my last trip with IVHQ! Love IVHQ. So what are you waiting for....check IVHQ now! o Tutor struggling students and work alongside local teachers or other volunteers. o Subjects include English, Mathematics, Life Skills, Social Studies, Art and Physical studies however there is a heavy emphasis on English. o Volunteers may also be asked to help organize other activities for the students, including sports. o Volunteers do not need to be qualified or experienced teachers. o Facilitate local children (9-15 years old) in learning how to surf, after school, while teaching them valuable life skills. o Planning activities and teaching the children how to surf or play beach games, cleaning wetsuits, cleaning the Surf Development Center, preparing sandwiches for the students. o Three days per week surfing and one day per week teaching beach games and one day per week in a local school to see how the students are performing in an academic setting, as surfing outside of school hours is treated as a privilege. o Volunteers have the opportunity to learn how to surf with an instructor and have access to the surf equipment in the morning, while the students are at school. o Volunteers do not need to know how to surf. o Work with children from Grade 1 to Grade 7 and are responsible for the planning and delivery of creative and innovative Physical Education lessons which link directly to the Learning Outcomes and Curriculum set out by the Western Cape Education Department. o Volunteers are placed in day care centers attended by children from poor backgrounds and broken homes. o In addition to teaching and caring for these children, volunteers on this project are also involved in organizing games and activities, and helping with general duties of the center, including cooking and feeding the children. o Teach basic computer skills, providing local children with access to the Internet and the opportunity to up-skill and improve their future employment prospects. Most programs are 1 - 24 weeks in length. Volunteers must be 18 years or older at the beginning of the volunteer program and must provide a criminal background check to IVHQ partner staff on arrival in South Africa. Surf Outreach project volunteers must be competent swimmers. Computer Teaching project volunteers must be computer literate. Vaccinations may be required, check with your doctor. Travel medical insurance is required and the responsibility of the volunteer. Participants must be in reasonable physical condition. Meals and accommodation are provided. Accommodations are dorm style in volunteer houses. Weekends are free for sightseeing and activities. Long weekends/extra days can also be taken to explore.